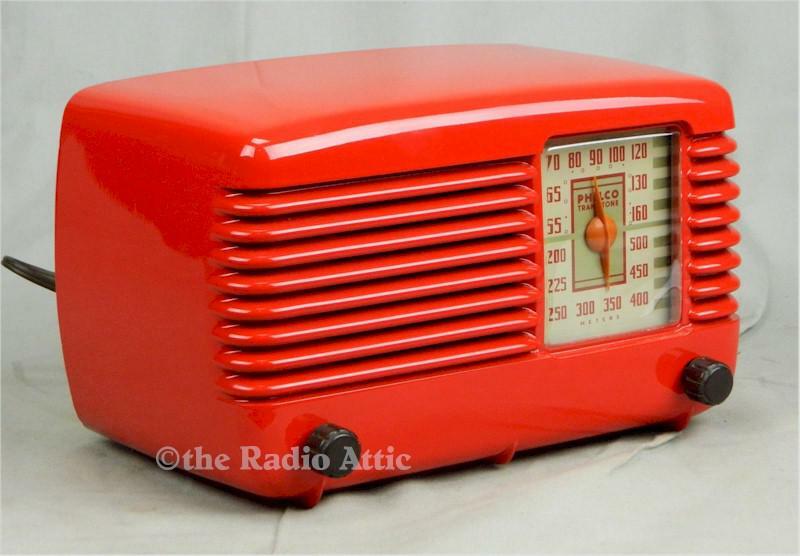 1946 Philco radio. AM reception, five tubes. Case is excellent with a new red automotive paint finish and without any cracks or chips. Dial graphics are strong. New dial cover. Original back. All components have been reviewed and replaced where bad or failing. Plays well. A beautiful and iconic design. Radio will be expertly packed. 10"W x 6-1/4"H x 6"D.